The following comment on Theodore Dreiser first appeared in the journal Menckeniana (Summer 1971) among selections from previously unpublished Mencken material. Dreiser, like Goethe, was more interesting than any of his books. He was typical, in more ways than one, of a whole generation of Americans–a generation writhing in an era of advancing chaos. There must have been some good blood hidden in him, but on the surface he was simply an immigrant peasant bewildered by the lack of neat moral syllogisms in civilized existence. He renounced his ancestral religion at the end of his teens, but never managed to get rid of it. Throughout his life it welled up in him in the form of various fantastic superstitions–spiritualism, Fortism, medical quackery, and so on–and in his last days it engulfed him in the form of Communism, a sort of reductio ad absurdum of the will to believe. If he had lived another’ ten years, maybe even another five years, he would have gone back to Holy Church–the path followed before him by many other such poor fish, for example, Heywood Broun. His last book was a full-length portrait of a true believer, and extremely sympathetic. Solon Barnes, like Dreiser himself, was flabbergasted by the apparent lack of common sense and common decency in the cosmos, but in the end he yielded himself gratefully to the God who had so sorely afflicted him. This entry was posted in assessments of Dreiser by his contemporaries and tagged シオドア・ドライサー, シオドア・ドライザー, シオドー・ドライサー, シオドー・ドライザー, セオドア・ドライサー, セオドア・ドライザー, H. L. Mencken, теодор драйзер, Theodore Dreiser, Theodore Dreiser The Bulwark on July 7, 2018 by Roger W. Smith. Smith knew Dreiser personally and includes many details derived from his acquaintance with Dreiser as well as his assessments of the man and author. This entry was posted in assessments of Dreiser by his contemporaries, reminiscences by contemporaries, friends, and fellow writers and tagged シオドア・ドライサー, シオドア・ドライザー, シオドー・ドライサー, シオドー・ドライザー, セオドア・ドライサー, セオドア・ドライザー, Edward H. Smith, теодор драйзер, Roger Smith, Roger W. Smith, Theodore Dreiser on May 20, 2018 by Roger W. Smith. This entry was posted in appraisals by non-critics, assessments of Dreiser by his contemporaries and tagged シオドア・ドライサー, シオドア・ドライザー, シオドー・ドライサー, シオドー・ドライザー, セオドア・ドライサー, セオドア・ドライザー, James T. Farrell, теодор драйзер, Theodore Dreiser on July 11, 2016 by Roger W. Smith. 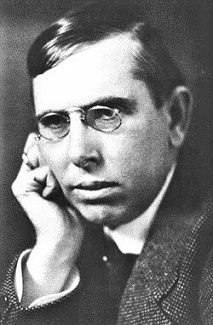 Henry Miller was a great admirer of Theodore Dreiser. He admired Dreiser’s realism; admired the size, scope, and power of Dreiser’s novels; admired the cumulative effect of Dreiser’s massive plots. Dreiser was one of Miller’s major literary influences. In March 1922, Miller took a three week vacation from his employer, The Western Union Company (the Cosmodemonic Telegraph Company of North America in his novel Tropic of Capricorn). During the vacation, he wrote his first novel, Clipped Wings, which was never published. Clipped Wings, a novel about twelve telegraph messenger boys, was inspired by Dreiser’s Twelve Men, which had been published three years earlier, in 1919. The letter has not hitherto been reprinted. Texts of Miller’s early writings are in many cases unavailable. Sir: In his review of Dreiser’s American Tragedy, Mr. T. K. Whipple raises an interesting problem in the art of the novel in in his discussion of Mr. Dreiser’s style. “Dreiser could not write as he does,” says Mr. Whipple, “mixing slang with poetic archaisms, reveling in the cheap, trite and florid, if there were not in himself something correspondingly muddled, banal and tawdry … a failure in writing is necessarily a failure in communication.” This is all very true when the thing to be communicated is an abstract idea or philosophy. The novel, however, is effective because of images and emotions and not because of its abstract ideas. Mr. Whipple’s error lies in applying intellectual criteria such as logic and profundity to art, which affects us by its vividness or beauty. From this point of view it becomes evident that Mr. Dreiser’s effects are not achieved in spite of but because of his style. The “cheap trite, and tawdry” enable him to present a world which a more elegant and precise style could only hint at. He uses language, consciously or not, in the manner which modern writers, notably Joyce, use deliberately, that is, he identifies his language with the consciousness of his characters. Mr. Whipple evidently expects all writing to conform to the “mot just’ technique of the Flaubert school. But fortunately style cannot be prescribed by rule. See also: Henry Miller, The Books in My Life (New Directions, 1969), pp. 219-220. There, Miller misspells the title of Dreiser’s second novel as Jenny Gerhardt. This entry was posted in appraisals by non-critics, assessments of Dreiser by his contemporaries, Dreiser and fellow writers and tagged シオドア・ドライサー, シオドア・ドライザー, シオドー・ドライサー, シオドー・ドライザー, セオドア・ドライサー, セオドア・ドライザー, Clipped Wings, Henry Milller, теодор драйзер, T. K. Whipple, Theodore Dreiser on July 3, 2016 by Roger W. Smith. The novelist James T. Farrell (1904-1979) was a great admirer of Dreiser. In his underrated novel Bernard Clare (The Vanguard Press, 1946), Farrell pays indirect tribute to Dreiser by having his two main characters engage in a discussion of An American Tragedy, about which the character Eva makes perceptive comments. Many readers of An American Tragedy (and the admirers and makers of the film A Place in the Sun) have missed the point about the distinction between Roberta Alden and Sondra Finchley made by Farrell (indirectly, through his characters) here, although Dreiser certainly didn’t. An excerpt from Bernard Clare is posted here below as a downloadable PDF file. This entry was posted in An American Tragedy, assessments of Dreiser by his contemporaries, Dreiser and fellow writers, miscellaneous and tagged An American Tragedy, シオドア・ドライサー, シオドア・ドライザー, シオドー・ドライサー, シオドー・ドライザー, セオドア・ドライサー, セオドア・ドライザー, Bernard Clare, James T. Farrell, James T. Farrell Bernard Clare, теодор драйзер, Rogeer Smith, Roger W. Smith, Theodore Dreiser, Theodore Dreiser An American Tragedy on February 23, 2016 by Roger W. Smith.